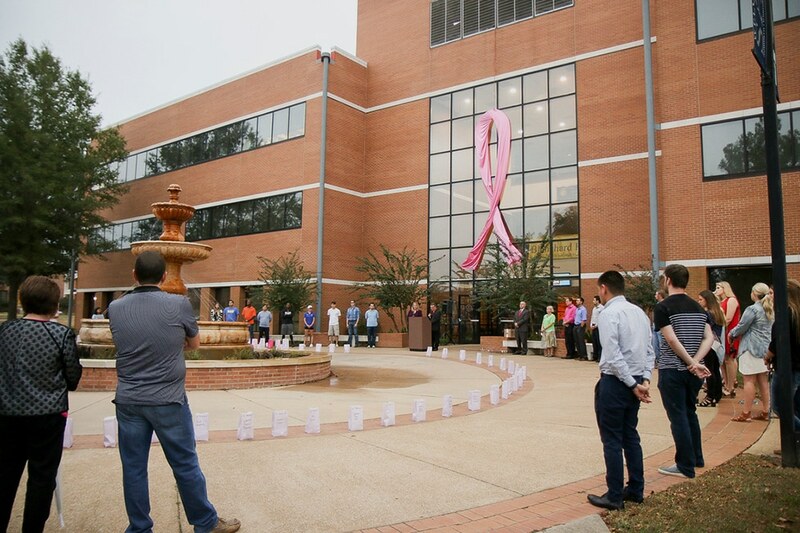 The Rankin College of Business at Southern Arkansas University will sponsor its eighth annual Light for the Fight ceremony on Monday, Oct. 1, beginning at 6:30 p.m. by the fountain at Blanchard Hall (formerly the Business Building). The ceremony is to honor all of those who have battled cancer. This year’s ceremony will feature guest speaker Regina Minor of the local group Steel Magnolias. This Light for the Fight ceremony began when business students wanted to do something to honor Tammie Green, the wife of current business professor Dr. Ken Green. Luminaries are available for purchase in honor and in memory of friends and family members. Light pink luminaries will be in memory of our friends and family members who had breast cancer, dark pink will be breast cancer survivors or current fighters, and purple luminaries are for other types of cancer. Luminaries will be lit at the ceremony and will remain on display in the Blanchard Hall Business Building throughout the month of October. The luminaries are $5 each and can be purchased online at https://web.saumag.edu/business/light-for-the-fight, by calling 870-235-4300, or by email at tamiunderwood@saumag.edu. Proceeds from the sale of the luminaries will go to the Steel Magnolias’ Breast Cancer Support Group in Magnolia.